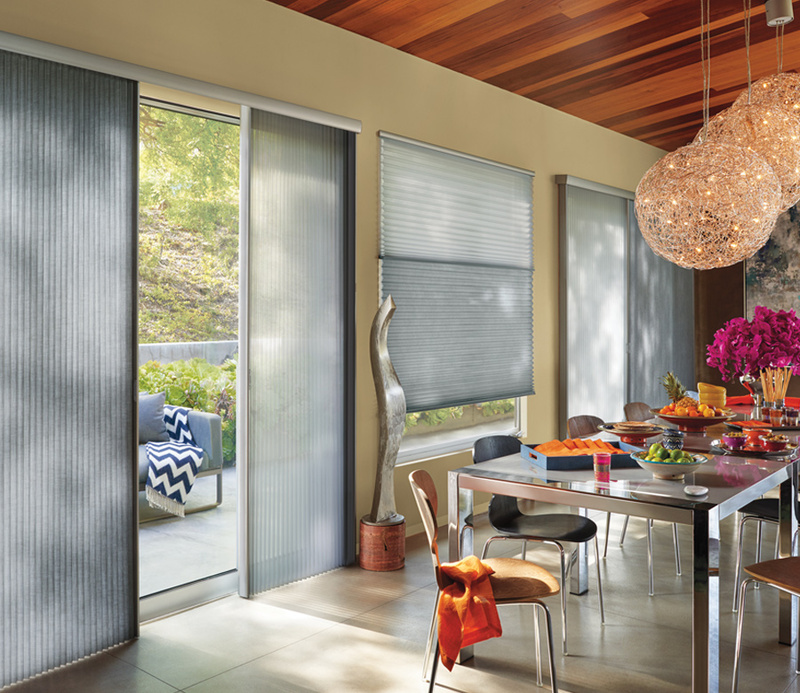 The energy efficient design of cellular shades comes with transverse operation for your sliding glass doors and large windows. 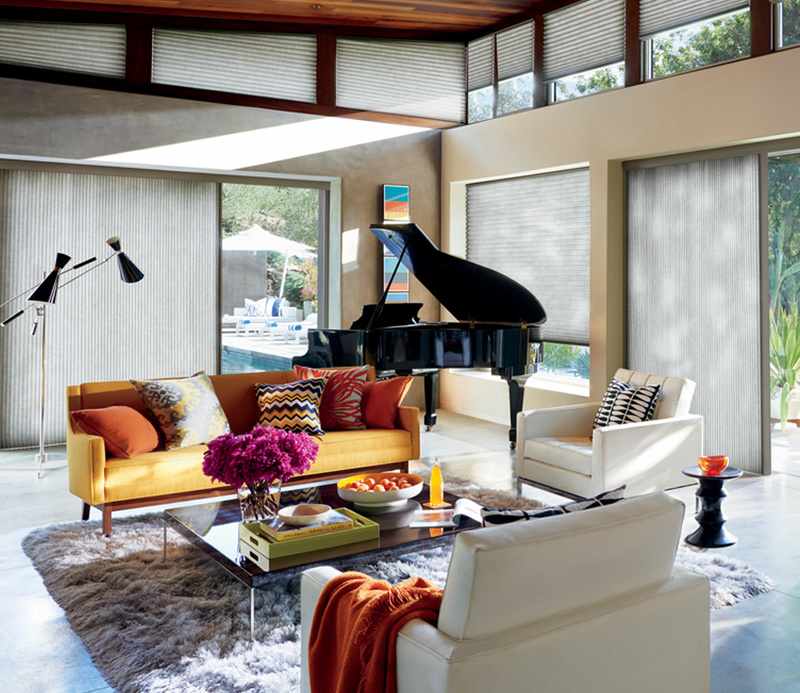 Vertical honeycomb shades, from the Duette collection, provide beautiful styling with the insulation you need. 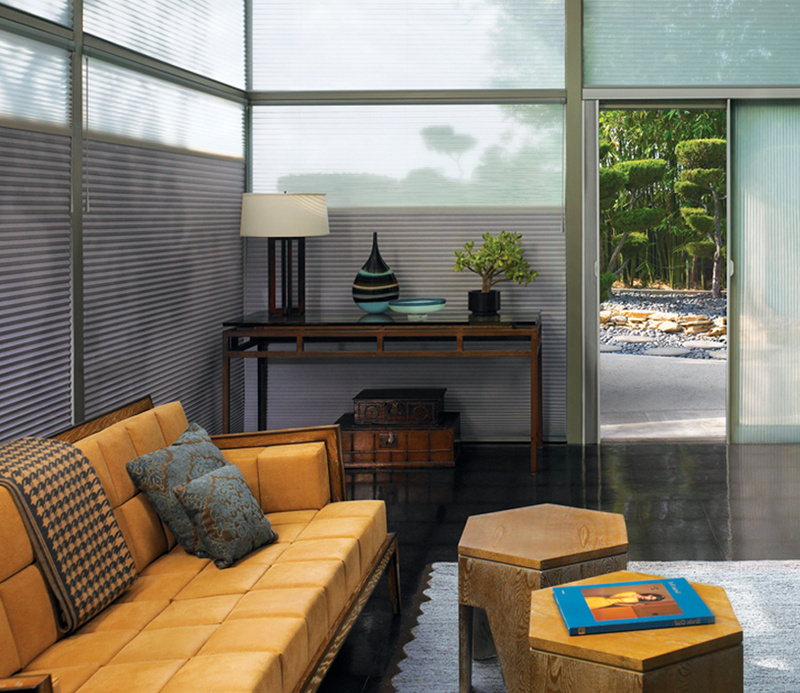 Available in various stacking styles, you can customize your home to improve your lifestyle.